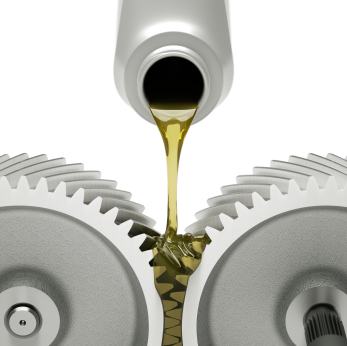 Lubricants are mainly used to minimize friction and/or wear between two surfaces. Typically these surfaces are metal moving parts, such as gears. They can be used periodically, as in motor oils or aviation oils. Or they can be used continuously, such as with turbine oils. Most lubricants are primarily composed of base oils, while the remaining composition is additive based. Lubricants not only help minimize friction and wear, but they also assist in transmitting power and heat. Lubricants also help prevent rust and corrosion. Examples of lubricant end user applications include gear oils, hydraulic oils, turbine oils, engine oils, fuel additives, air compression lubricants, spray lubricants, and more. PhosLube Petroleum Laboratories specializes in lubricant oil testing for quality control, product specification, and product development purposes.